The majestic presence of Mt. Wellington – which rises 1,270 metres – is a beautiful and dominant aspect of the city, looming large over the Harbour. 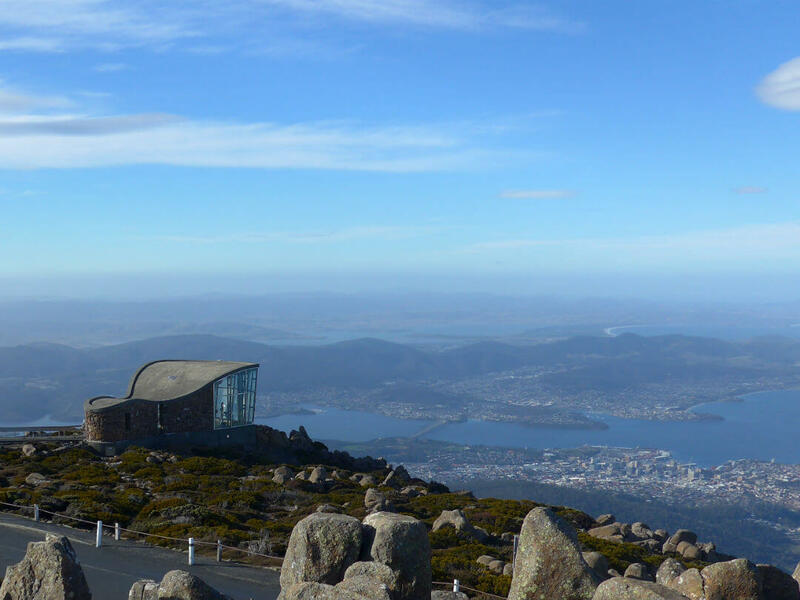 On a clear day, the views from the summit extend over the city, Bruny Island and all the way out to the Tassie Peninsula. Photographers love this mountain and – after an easy 21 km drive from the city centre – you’ll love it too! 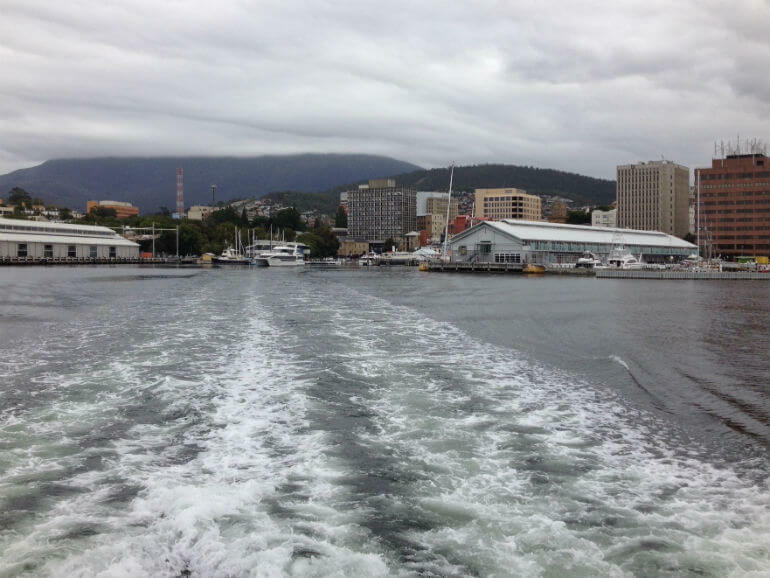 The Derwent River is simply gorgeous no matter where you see it from, but the historic Harbour is often cited as one of Hobart’s most serene and beautiful locations. The Harbour is ideal for a picnic or a romantic stroll, but it also really livens up during the Sydney to Hobart Yacht Race, if you happen to be in the city over the Christmas holidays. 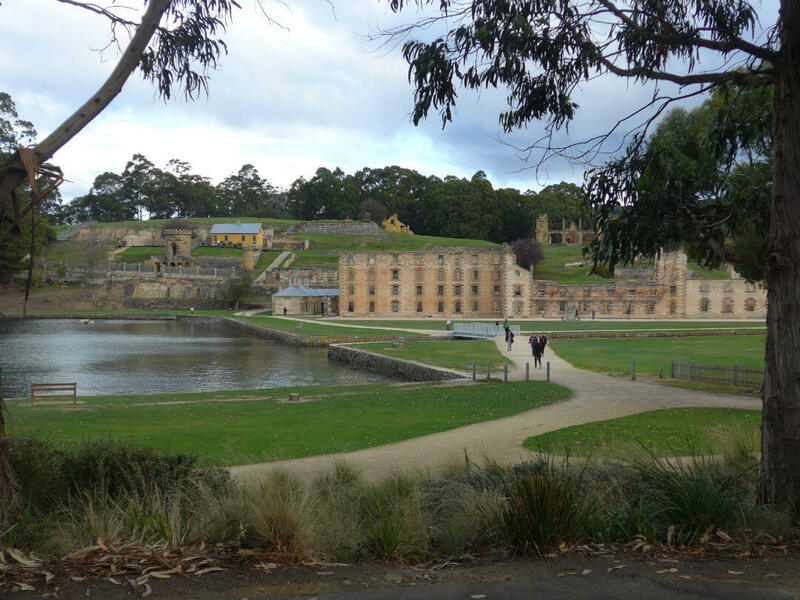 While Port Arthur technically isn’t located in Hobart – being 95 km south-east of the city – it is definitely worth a mention here as it is one of the most popular tourist destinations within the region. 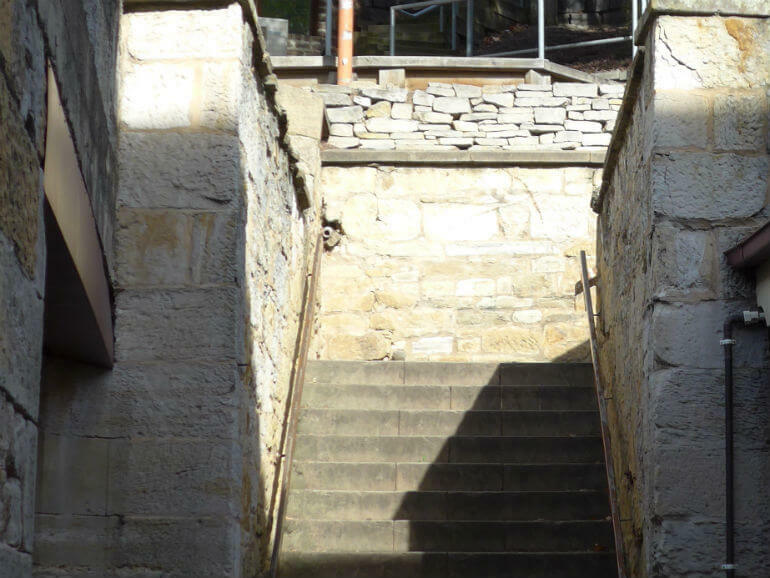 Port Arthur’s fascinating penal colony past is truly amazing and you can almost feel the emotions of the past prisoners as you learn about their trials and tribulations. 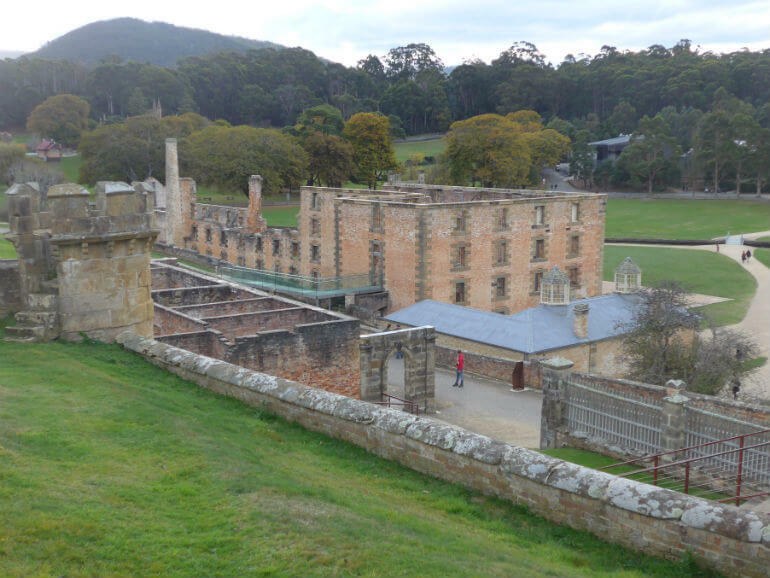 The stunning beauty of Port Arthur is also quite bittersweet, considering the area was used to house some of the country’s most hardened convicts and criminals. 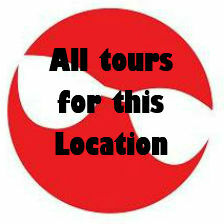 The evening ghost tours are ideal for those who like a bit of a thrill. If the thought of attending a museum or gallery makes you want to drink 5 double strength coffees in a row, in order to prepare yourself for the boredom, then this museum might be the museum to change your mind! 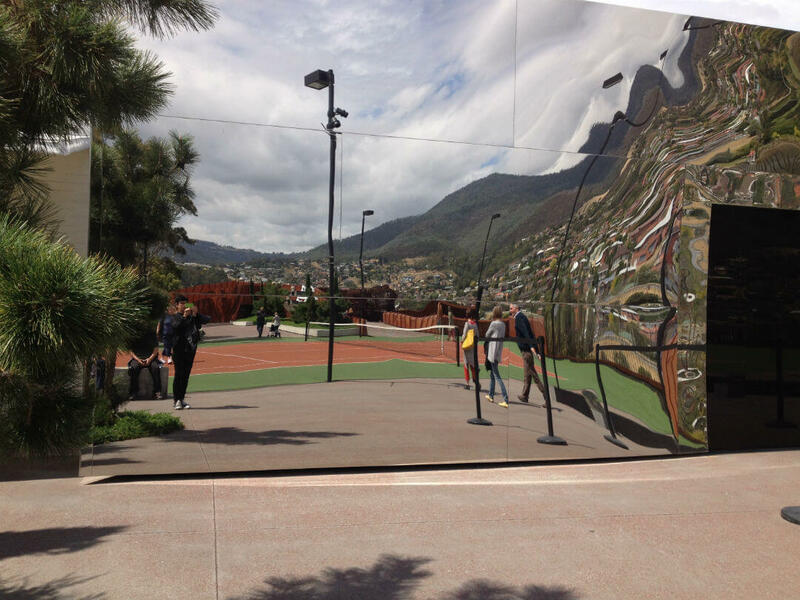 The MONA is described by founder David Walsh as a ‘subversive adult Disneyland’, and we agree. 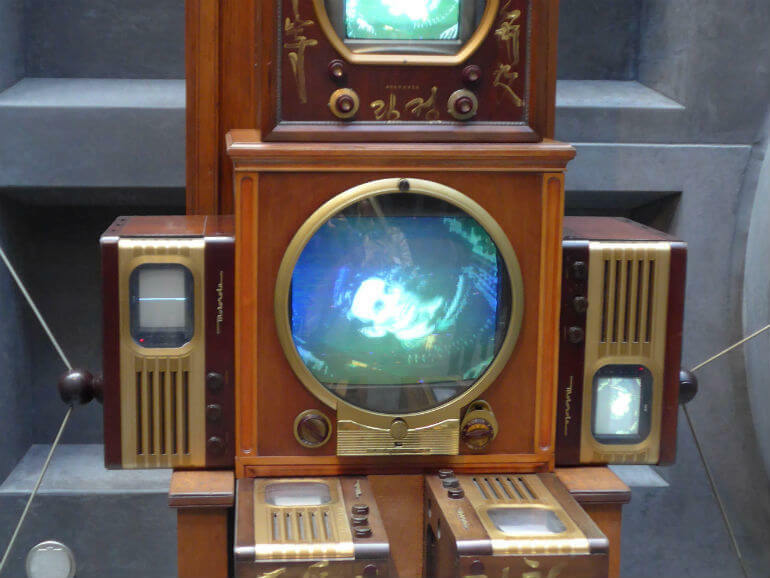 When you visit MONA, it’s not just a walk through an art gallery, it’s an immersive experience that leaves you in awe of mankind’s ability to think so abstractly. There’s really nothing like it! 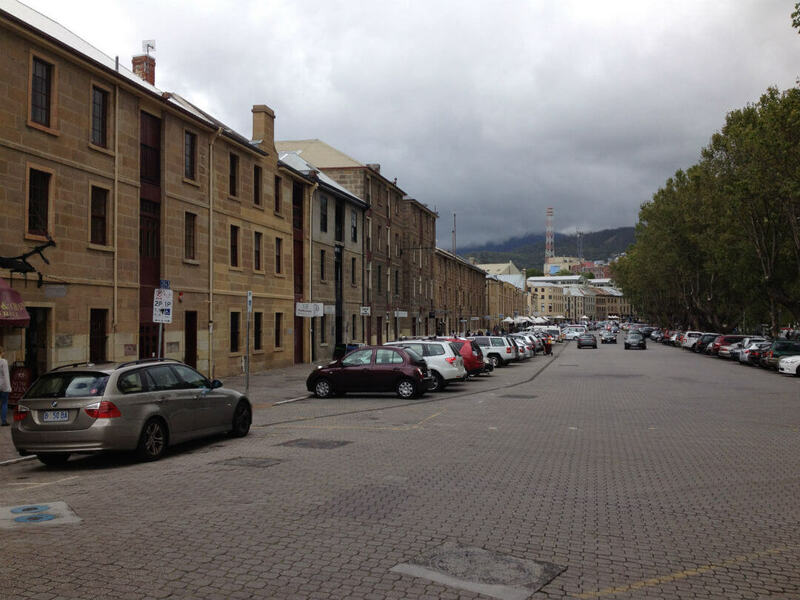 The Hobart area is so full of history and the quaint town of Richmond is another delight for those who like to step back in time for a little while. 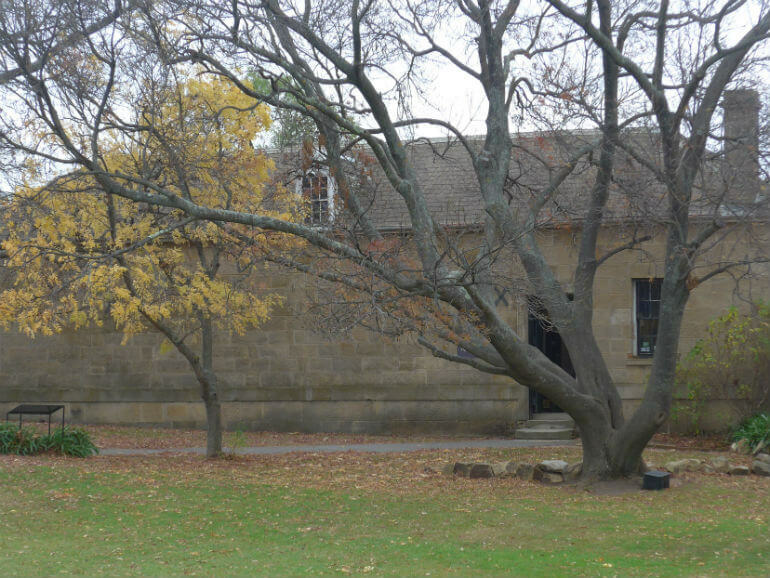 Located only 25 km north-east of Hobart, this town has plenty of historic architecture in its homes, galleries, stores and restaurants. 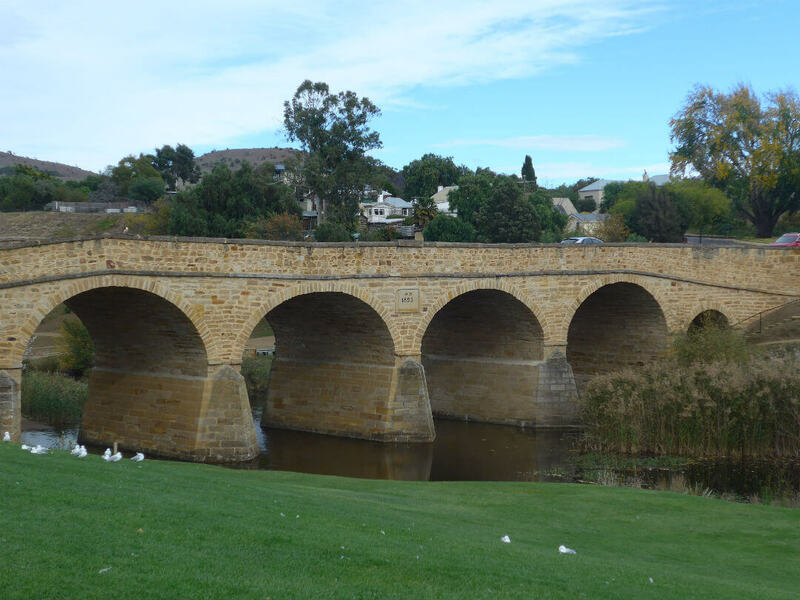 It’s also home to the oldest bridge in Australia! A perfect location to head to for a Sunday drive. Yes, the thylacine,Tasmanian Tiger, is extinct (or is it? Wink wink), but there’s still a unique Tassie icon that can be as fierce as a wombat (don’t laugh – wombats can be savage little suckers) but is always as cute as a button. 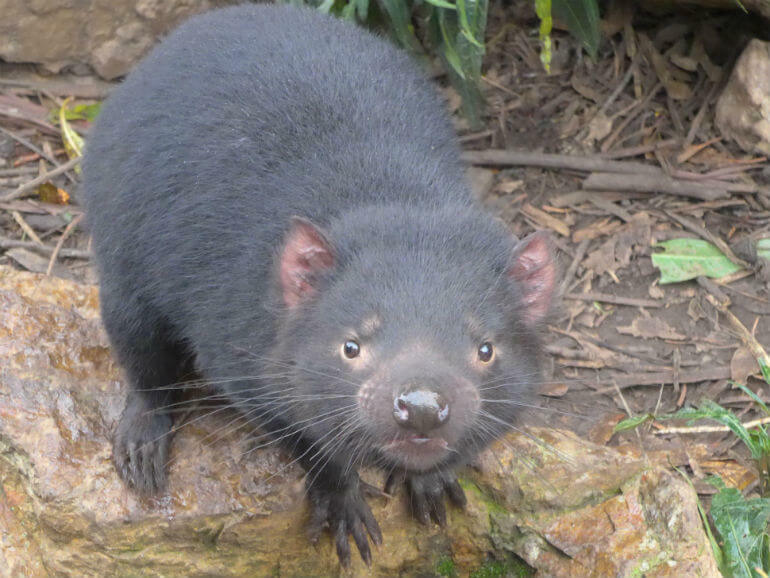 The Tasmanian Devil is a true icon for this island state and you simply can’t visit Hobart without attempting to see one in it’s natural environment. 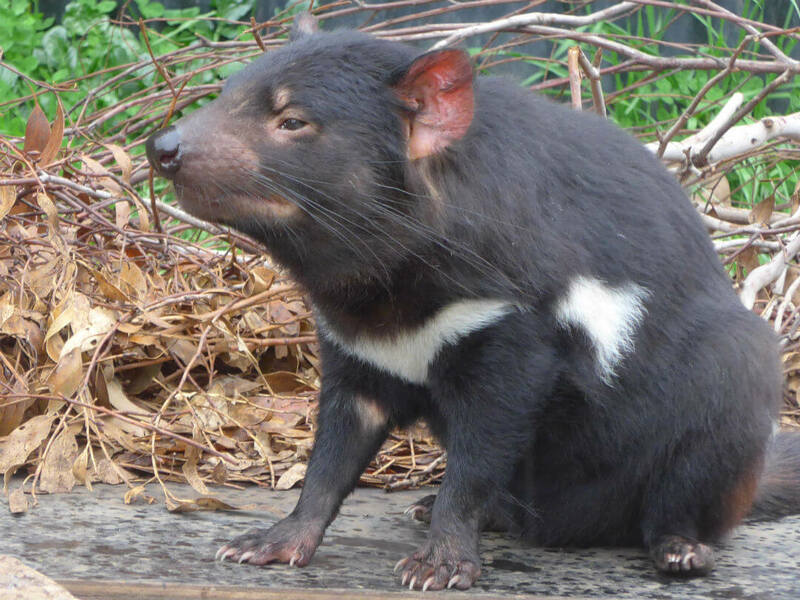 Thankfully, there are plenty of happy, protected Devils at Bonorong Sanctuary. These adorable mammals share the Sanctuary with native birds, koalas, quolls, possums, wombats and more. Great for the kids. With amazing Georgian buildings that were once warehouses but are now café’s, pubs, restaurants and galleries, this area is a lively place at night and Salamanca Square is a great place to enjoy a coffee while watching the kids play on the lawn near the central fountain. 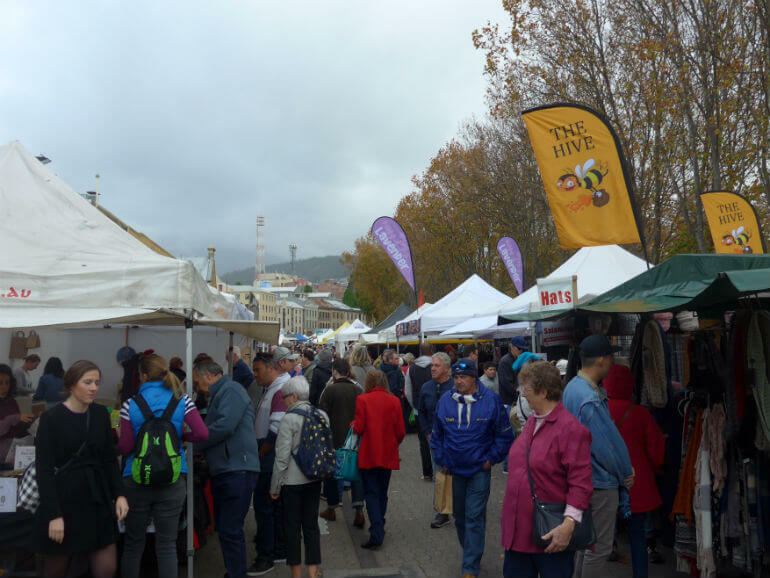 Held at Salamanca Place every Saturday, these markets are a total must-do when visiting Hobart. With the entire length of the street used by stall vendors, buskers and food sellers, you’ll have a ball walking along for hours, browsing or buying at your leisure. 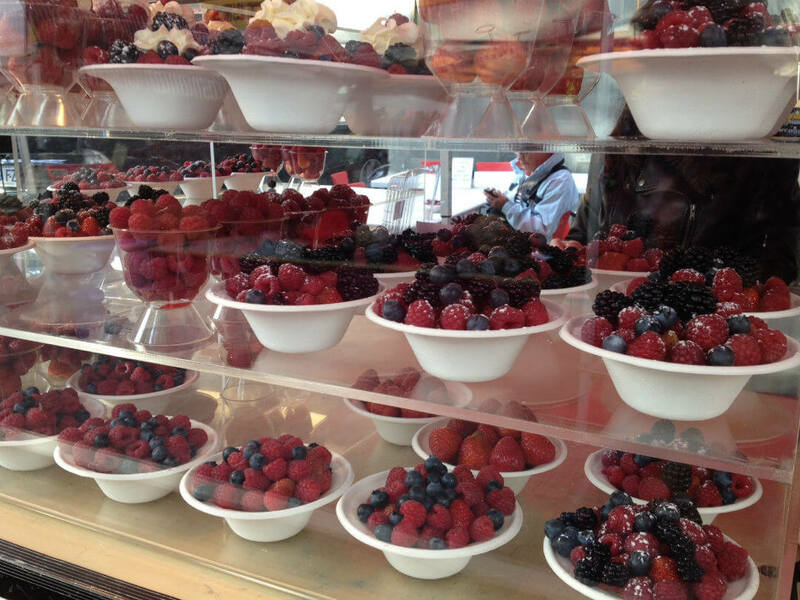 The Salamanca Markets are considered one of the best markets in Australia, so don’t miss them. 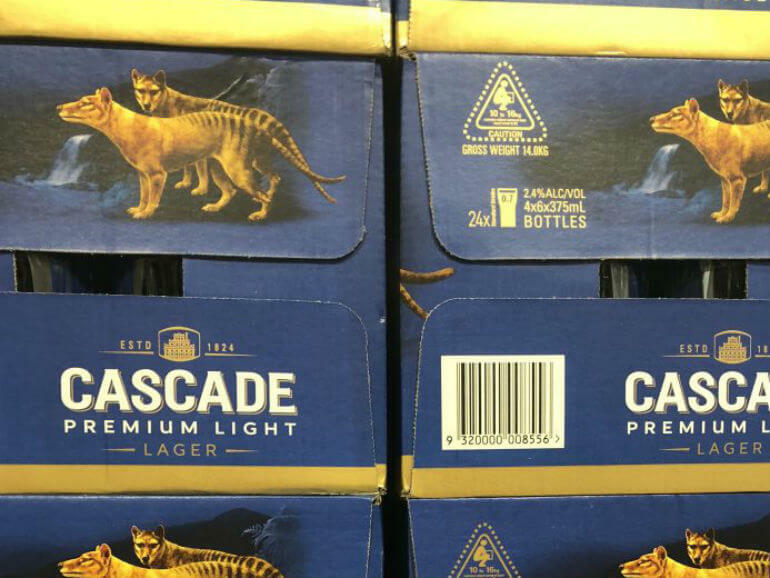 Most of us are at least vaguely aware of the Cascade Brand, with the Tassie Tiger on the label, but did you know that this is Australia’s oldest brewery? 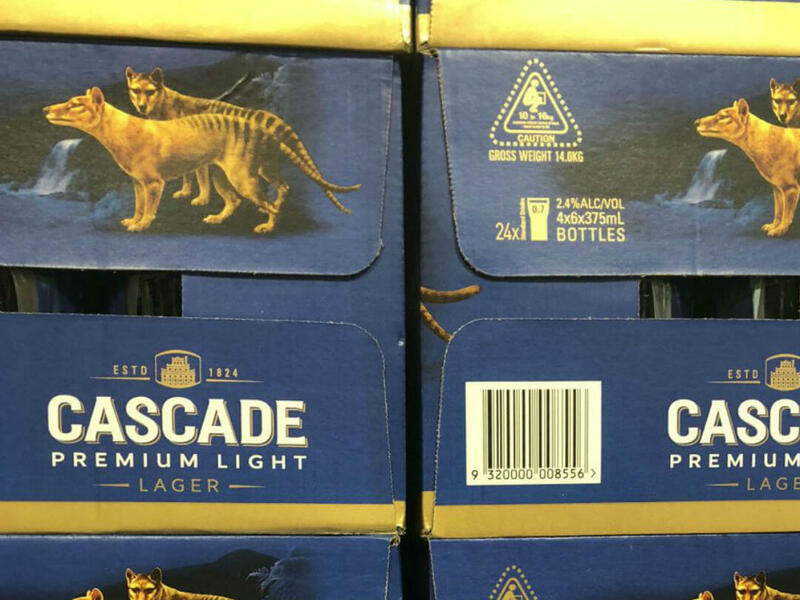 A visit to Cascade will see you learning about its history, discovering how the beer is made, exploring the gorgeous gardens and tasting a few samples of their delicious brew. 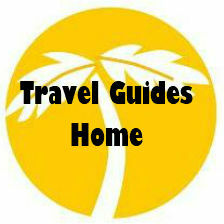 It’s also very family-friendly, so don’t avoid it just because you have the kids in tow. What more could you ask for? 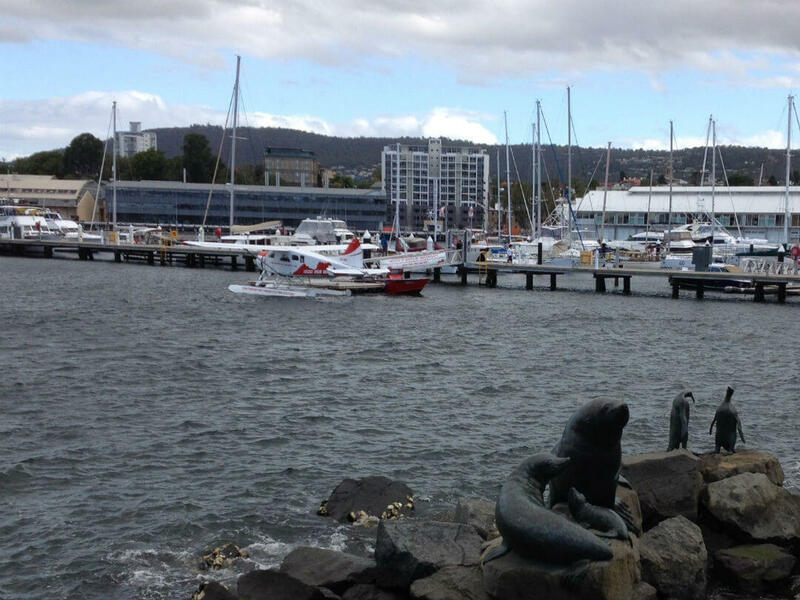 Want to find out more about Tasmania? 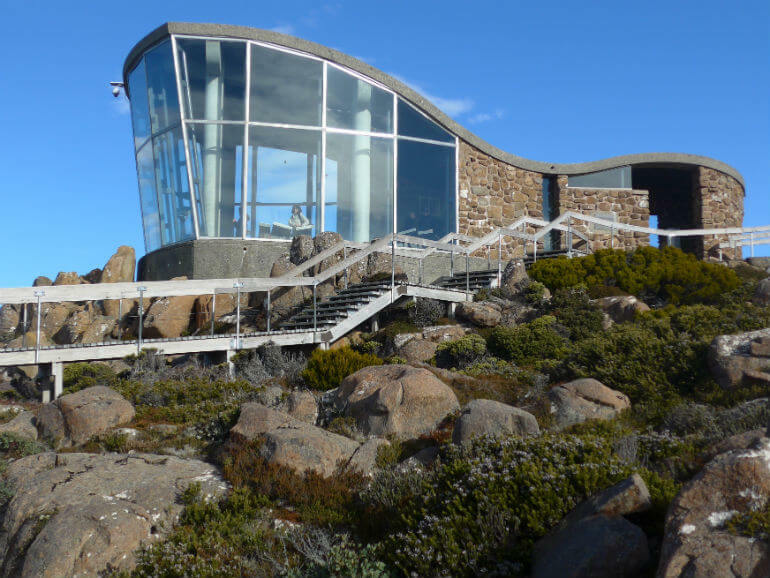 See our Tasmania things to do Travel Guide.